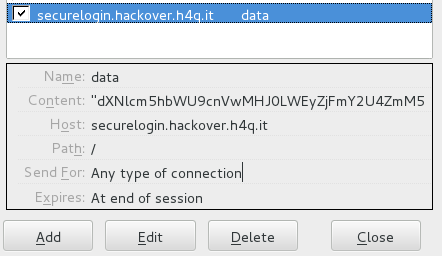 This writeup describes the solution for the securelogin challenge in Hackover CTF 2015 held by Chaos Computer Club Hamburg. No access – no flag :-(. Lets check the cookies. The cookie data contains my username and a sha256 hash (which is not the hashed username :D). It must be some message authentication code (MAC). When knowing and controlling a plaintext and looking for a valid MAC, you will always have to think on hash length extension attacks. 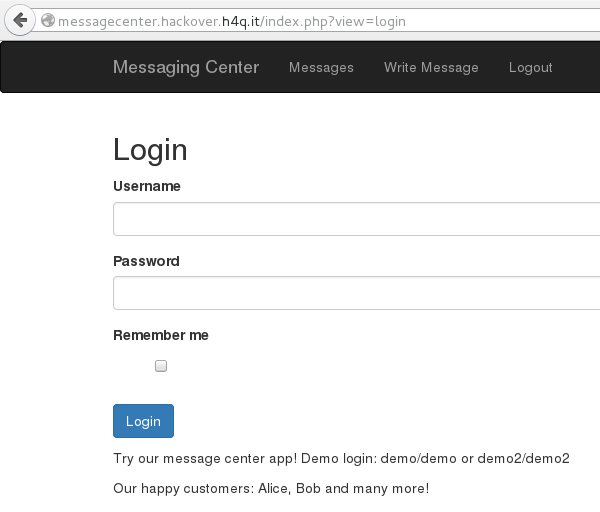 This writeup describes the solution for the messagecenter challenge in Hackover CTF 2015 held by Chaos Computer Club Hamburg. The task was … to find the flag … as usual :D. So lets look at the website. This writeup describes the solution for the easy-shell challenge in Hackover CTF 2015 held by Chaos Computer Club Hamburg. Lets first check what the binary does when executing. .'! : | :  !`. Some nice ascii art and data reading without output. Because this is a pwn challenge lets send much data in GDB and check the result. Wow, we already got EIP control – that will literally be an easy-shell :-). Lets check where to direct the EIP into a controlled code segment. This writeup describes the solution for the easy-math challenge in Hackover CTF 2015 held by Chaos Computer Club Hamburg. It reads some data and does stuff with it. I gonna try GDB to have a detailed look in the operations. So lets set a breakpoint after the read() functions and single step (si). Undefined command: "CC". Try "help".